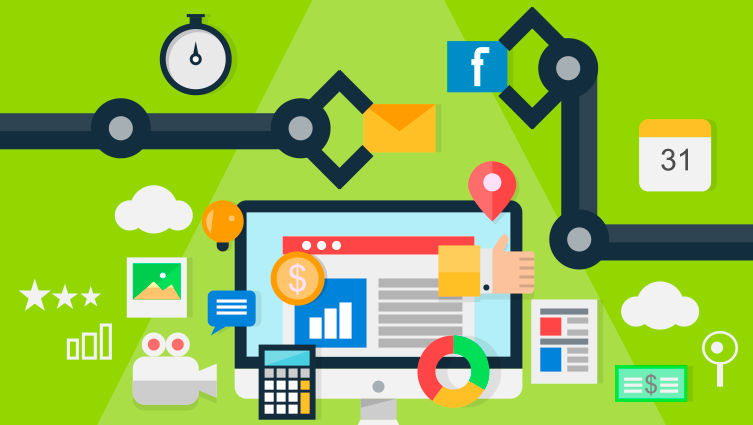 Ever wondered how to nurture leads with Email Marketing Automation? As a business owner, your contact database is one of your most valuable marketing assets. Ask yourself, are you using your database to its full potential. You can improve engagement by implementing email marketing automation. Email marketing automation is the process of scheduling a series of targeted emails. These emails provide the recipient with useful information throughout the buyer journey. The scheduled emails are delivered over a period of time. The purpose is to keep lines of communication open. Emails help move both potential and existing customers further down the buyer journey. It is important that the content of your emails is created with your prospects needs in mind. Remember it must be of interest to them and capture their attention. When executed well email marketing automation can improve efficiency. It can help potential customers feel they are being looked after, rather than just sold to. Let’s take a look at some of the best practices when it comes to email marketing automation. It is vital to ensure that your email content is relevant and delivered at the right time in the buyer journey. Segment your contact database into different categories that are of relevance to your business. Segmentation can be by industry or by behaviour. For example, if your contacts have shown an interest in a particular product or service. Segment your database by the stage of the buyer journey your contacts have reached. A customer at the awareness stage needs a different approach to someone who is at the decision stage of the buyer journey. When it comes to email marketing it is important to stand out from the competition in crowded inboxes. Using personalization in your emails can improve your open rates and click-through rates. Personalisation can help your emails avoid the dreaded spam folder. Using a contact’s name and/or company name gives the email a more personal feel. Using a contact’s name helps the recipient feel more valued compared to an email not addressed to them. You should adjust the tone of voice and add personality to your message for each audience segment. Remember, there is one thing that will make contacts reach for the unsubscribe button – being bombarded with emails. It is more effective to send a contact information that interests them. Don’t keep filling their inbox with emails that don’t excite them. Do you think you may fall into this category? Watch how many people are unsubscribing from your emails. Adjust the frequency you are emailing customers. You should check open rates and click-through rates and make adjustments to improve results. If you would like to discuss your email marketing automation, or what Blackberry Design could do for your business, get in touch on 01527 517309 or fill in our contact form.